PERSONAL GUIDE has been designed for the user to provide personal information to those around him/her. It consists of an alternative means of communicating tastes, preferences, occupation and any other relevant information, using images. It has been created for use by people with autism spectrum disorders and/or intellectual disability. However, it may be useful for any person who has difficulty in communicating, sharing and expressing personal information verbally. PERSONAL GUIDE is an aid for portraying basic personal information. 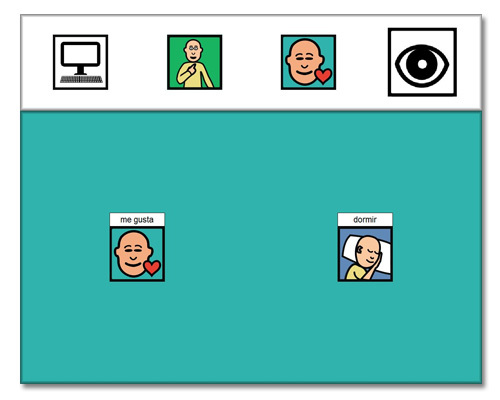 It provides the user with a set of images and items which describe useful aspects about him/herself for communicating with others. Used as part of a social skills development programme, it can be useful for working on the initiating communication skill, especially in order for the person to present him/herself to others when meeting them for the first time.